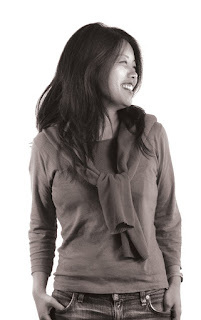 Karin Fong is a title sequence designer who was conceived and grew up in Los Angeles, she began her career after having attained an art degree. She then joined the west coast studio of R/G/A before becoming a founding member and partner at Imaginary Forces. Karin has created numerous title sequences for both film and television over the years, her most famous pieces being included in: 'Boardwalk Empire', (2014) 'Terminator: Salvation' , (2009) 'Charlotte's Web', (2006)and 'Rubicon' (2016). Her work has attained her five nominations and also on Emmy for title design. She has also constructed cinematics for the Sony Playstation game, 'God of War III' and large-scale video installations for sites such as Lincoln Centre, Las Vegas, ands the LA Opera. Karin's work has appeared at the Cooper Hewitt National Design Museum, the Pasadena Museum of California Art, The Wexner Centre, Artists' Space and the Walker Art Centre.